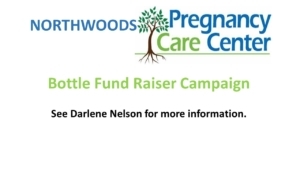 Northwoods Pregnancy Care Center (NPCC) is again asking for our prayers and financial support through a Baby Bottle Fundraiser. Please see the bulletin insert. 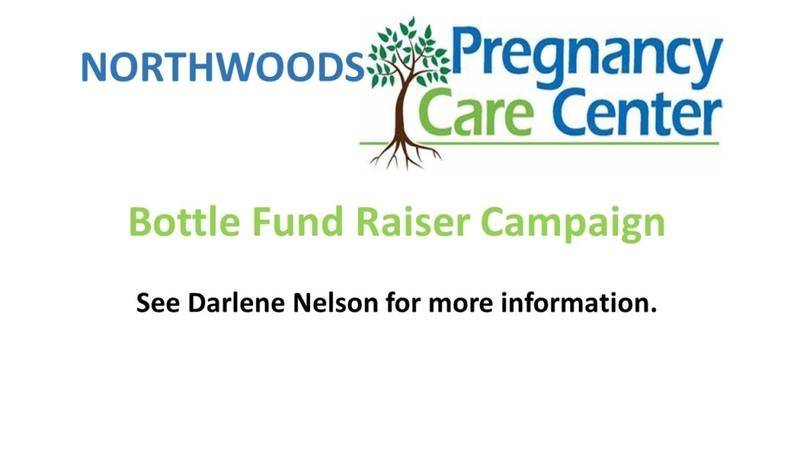 There will be bottles located in both foyers for the next couple of weeks. Please pick one up and fill it with coins, cash, or checks. Please return the bottles to the church by June 2. Thank you for your support.